During the beginnings of another storm. Im soaking it all in outside of the NES studio. This shot was taken by another artist @juliepasila as the sun was setting around 3:30pm. Four other artists and I decided to take a road trip to the south of Iceland and we found this really unique spot where the water was crashing against the rocks. Most of those rocks I’m standing on are amazing skipping stones. Taken around 12:30pm. Weird rock formations that has a house built into its relief. Taken just after 11:00am on November 21st. We are looking up at Gigjökull –a glacier fall from Eyjafjallajökull which is a still active volcano. Standing at Glacier Lagoon at 2:30pm. Taken around 2:30pm. It’s bubbling mud near Námaskar∂. The whole area looks straight out of a sci fi flick. The clouds got progressively darker and darker while plumes of white smoke rose from the ground in certain areas. I’ll be going back to create more photographs for a book I’m currently making. Taken at 2:00pm outside the studio in Skagaströnd. We have been getting hit by huge snowstorms with hurricane winds. This was taken just before the first weather system hit. Taken at 12:30 during a storm. This is the view from my house. My studio desk filled with rocks and random stuff. Taken at 11:00am on my walk to the local laboratory. As we approach the winter solstice, we see much less of the sun. It only gets strong around 1:00pm and sets around 3:00pm. When I first got to Skagaströnd, a remote town in the north west of Iceland – I truly had no idea what I planned to photograph. Although a proposal was necessary to apply to the residency (NES), I quickly abandoned any conceptual framework once I finally touched down in Keflavik Airport on November 6th, 2014. Another from @juliepasila. I’m dancing to Prince in this shot (Little Red Corvette) which just happened to come onto the Icelandic radio. One of my favorite songs that always reminds me of Toronto. I had to turn it up. Taken around 1:00pm. After the first week living in the north I developed friendships with the fellow artists. I shared a large studio with about 10 other people, many of whom worked in a variety of mediums and they all had a great impact on my work. The open plan studio allowed for lots of lurking and I often sat distractedly watching my friends buzz around the space. Living in Iceland during the two darkest months, as a photographer became an exercise in patience and timing. Having brought film with a speed of 400 meant I had a very narrow window to capture photographs each day. The light changed drastically minute to minute. Sometimes, the sun would cast dramatic pink lines across the town – reflecting bright orange light off the water and windows. Although mostly low and diffuse it presented a daily challenge and I would eventually begin to split my hours between two projects. One shot during the short days and another during the night. 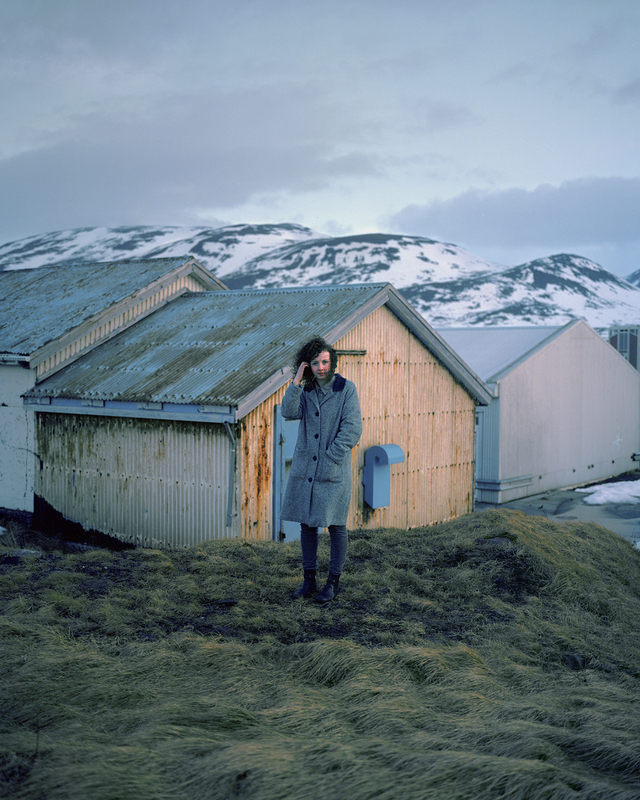 The images presented here are from the project shot only when the sun was out. Venturing outside for short walks around town became part of my daily work routine. I also got a part time job working at the only bar in town called Borgin. A former country bar that was run by two guys named Toti and Markus, they let me clean the bar in the afternoon in exchange for food and beers. Borgin was like the town hall and Toti was the self-proclaimed mayor who loved Tom Jones. I would regularly drink there and inevitably started meeting the community over cold beers at the bar. The project began with Alex and Sigurjion – best friends who were passionate about buying, refurbishing and driving cars. Notorious in Skagaströnd for drifting at high speeds across town, Alex and Sigurjion were the quintessential “bad boys.” They were the first to agree to let me photograph them. I became interested in the young adults ranging from 17-25. After talking, I would ask them to meet me the following day where they would join me for a walk around town. These interactions are where I learnt about the history of Skagaströnd, the community, its dysfunctions, quirks and eccentricities. In the late 10th century, the town was home to a fortuneteller named Þórdís (Thor-dis) who lived at the bottom of Spakonufell - a large mountain that overlooks Skagaströnd to the east. Today, the Museum of Prophesy sits in town to remember and tell her saga. 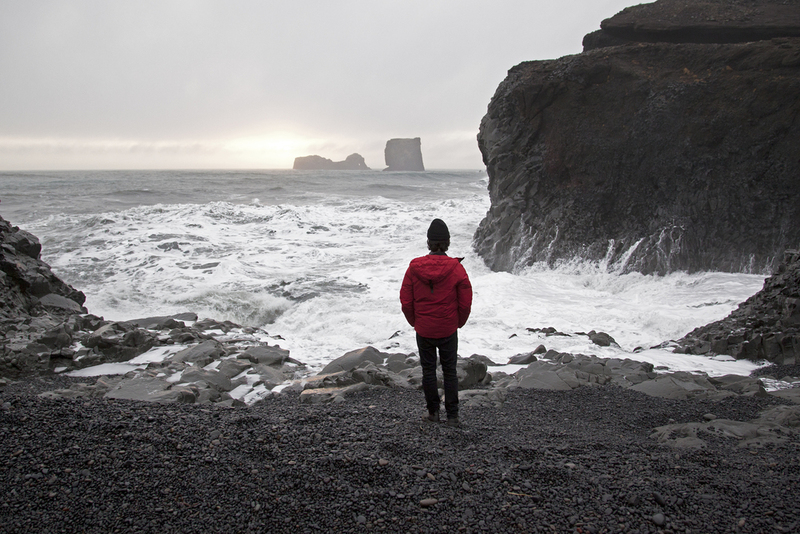 One of Iceland's most memorable qualities is its powerful wind and unpredictable weather. Checking the forecast was important every night to predict the following days activities. It happened a number of times where there was enough snow and wind to prevent us from leaving our homes. The snow would build quickly and blanket our windows, blocking out the already reduced light. On one particular night, after leaving Borgin with friends, we got caught in the middle of a huge snowstorm. The wind was strong enough to physically blow me into a snow bank, and what should have been a fifteen-minute walk home became a 45-minute adventure. 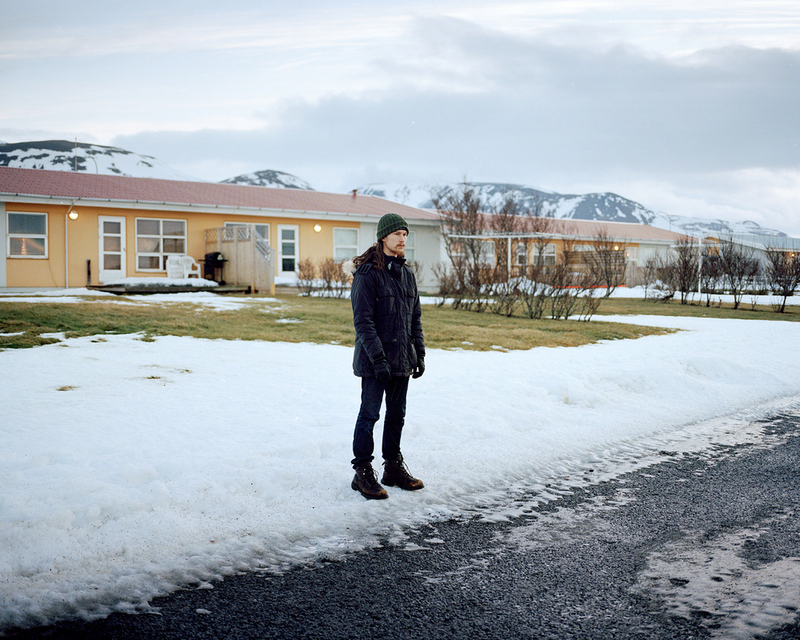 Today, a humble community of Icelanders lives on the western, breezy shore and many have ancestry that has tied them to the land for decades. In the early 1900’s about one hundred people lived in Skagaströnd and over the years, its population grew to a modest 500. Being a fishing town, its livelihood and development was dependent on income directly related to income generated from the fishery. In recent years, the fish have unexpectedly migrated which has caused difficult times for the community whose growth and development depended on profit from the fishery. As a result, today many of the town’s young community don’t stay beyond high school and instead – relocate to the larger cities like Akureyri and Reykjavik. I became interested in the kids who live/lived in the small town. 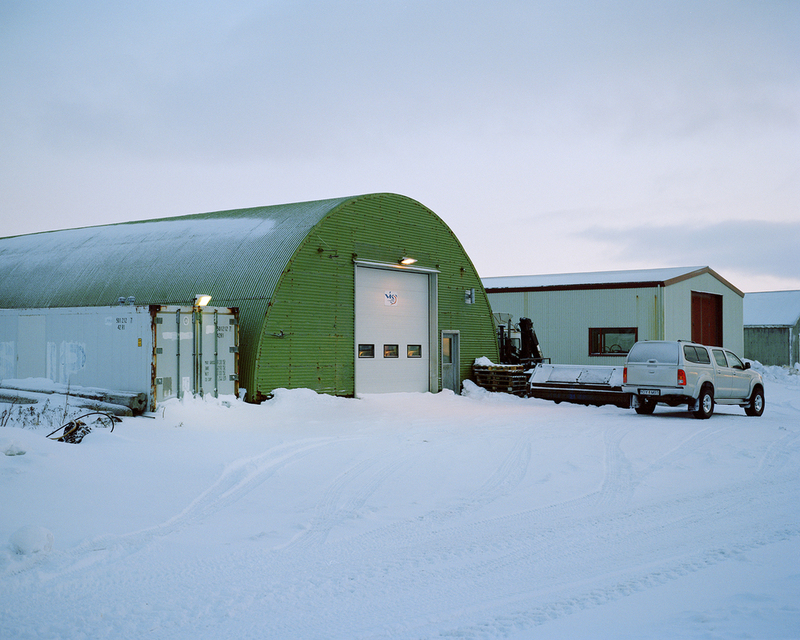 These photographs offer a glimpse into the quiet town where I spent two reflective months contemplating both the Icelandic landscape and its noble people.